Ohemaa Mercy and a host of other Ghanaian gospel musicians on Christmas day thrilled worshippers to live ministrations at the seventh edition of Alabaster Praise Concert at the Assemblies of God (AG) Tema New Town branch. The annual concert, organized by Divine Instruments (DI) of New Life Assemblies of God, is aimed at providing an ultimate worship experience for all Christians and an opportunity to win souls for Christ through music. Guest artiste, Ohemaa Mercy; host choir, Divine Instruments; guest choir, Jewels of Praise and other ministers did not only minister the crowd’s favourites, but also interacted with the fans, making their performance very engaging. 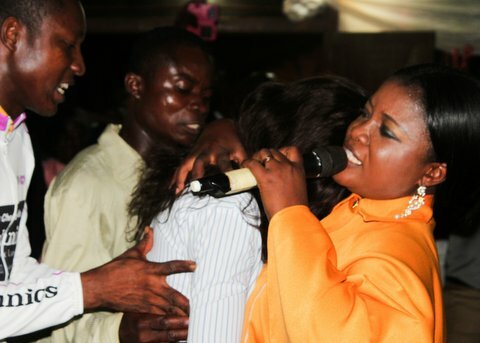 Main act of the evening, Ohemaa Mercy, led the congregation through non-stop renditions of popular worship tunes. The songstress’ praise jam session saw the crowd holding up their mobile phones, singing out loud, jumping and dancing to her popular tunes like ‘Wo Fri Mo’, ‘Wo Beye Kese’ and others. Commenting on the Alabaster Praise dream, President DI, Hannah Doughan, said the ministry came up with the concert as an avenue to reach out to the youth through music, worship, choreography and a host of voluntary social projects. 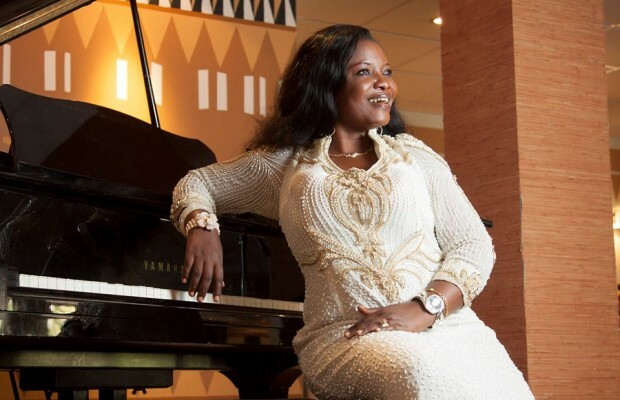 “Within six years, Divine Instruments has made inroads by bringing seasoned ministers like Cecilia Marfo, Joe Mettle, Diana Hopeson, former MUSIGA President, Francis Amo, Vine Praise, Gifty Osei, Jim Emmit Konadu, De Joe and the Levitical Order and others to lead hundreds of worshippers to the throne room of God during the concert. A member of the planning committee and a music director of DI, Paa Kwesi Forson, entreated fans of the group to look forward to the eight edition of the concert in 2016, adding that the group has already hit the drawing board to prepare for the 2016 edition.